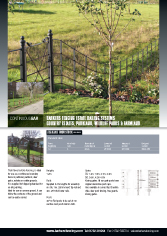 Traditional estate fencing, is ideal for use as a continuous boundary fence in parkland, paddock, deer parks, estates or estate grounds. It is supplied hot dipped galvanised for on site painting and is ideal for use on uneven ground as it can follow the contours of the ground and can be easily curved. Supplied in 5m lengths for assembly on site. 1no. 20mm round top rail and 4no. 25*8 flat lower rails. 40*10 Flat posts to be set at 1m centres. End posts 60mm CHS. 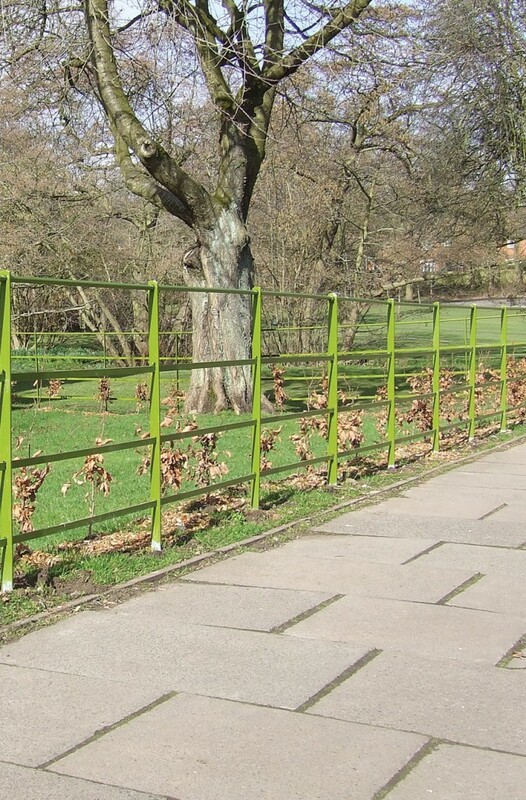 Alternatively available in 2m welded hurdle panels. Rails can be a combination of round bar, flat bar and tubular bars. S/L 1.2m, 1.8m, 2.1m, 2.4m. 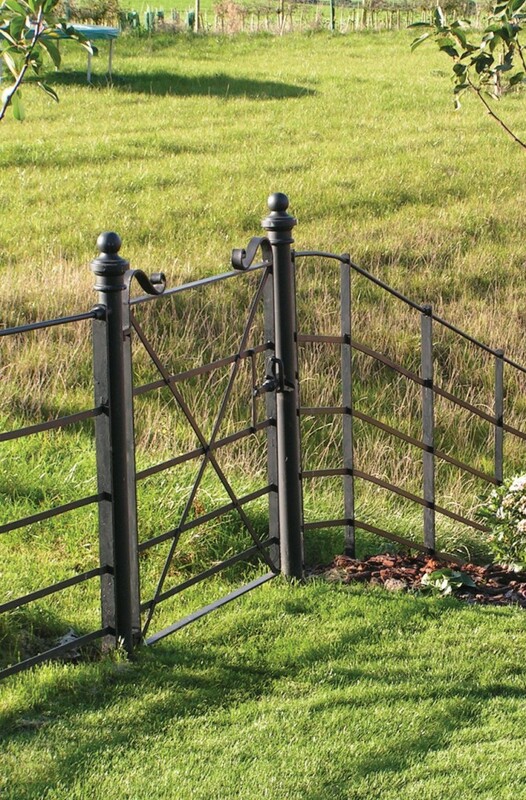 Kissing gates. All our gate posts have original decorative post caps. 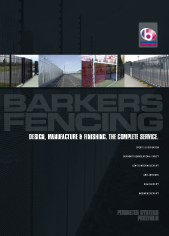 Also available in curved top Cheshire style, deer park fencing, tree guards, kissing gates. 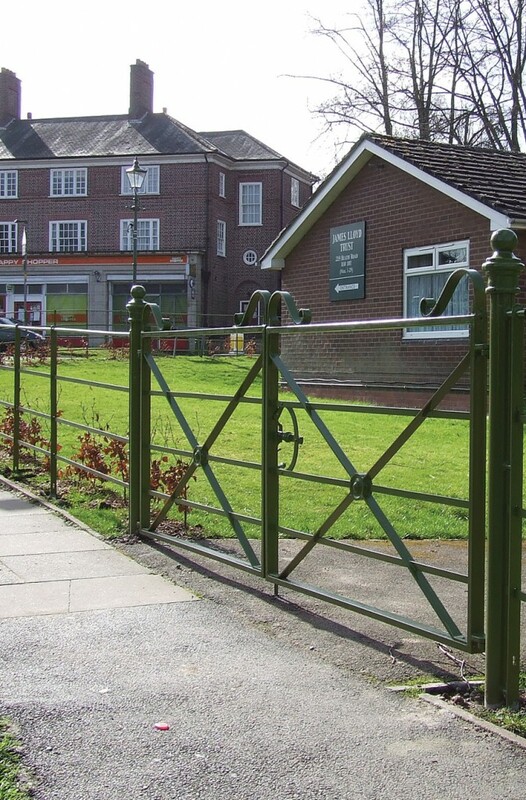 Gate posts can have traditional heads upon request.